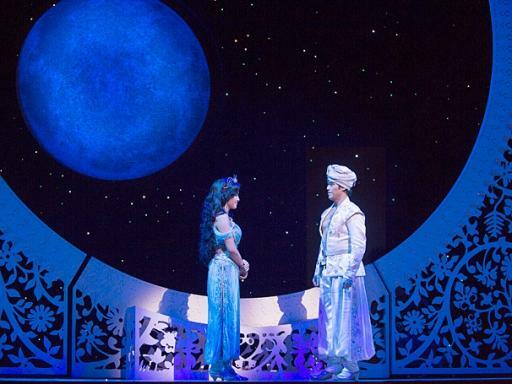 A Disney favourite is brought to life in this dazzling Broadway show. 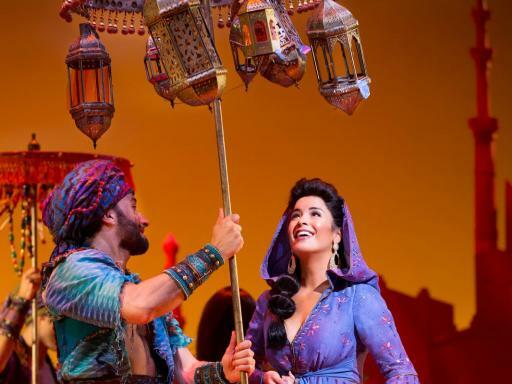 Enter a whole new world where one rub of a gleaming magic lamp illuminates the stage and puts you right in the middle of an incredible musical adventure packed with hilarious comedy and everlasting romance. 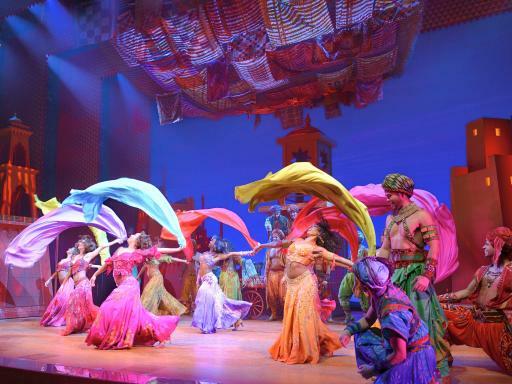 Aladdin has become the latest Disney classic to take Broadway by storm, exploding onto the stage in a dazzling burst of vibrant colour. Packed with plenty of laughs, breathtaking magic and a heart-warming tale of true love, this extraordinary Broadway show will leave you wishing for it to start all over again. 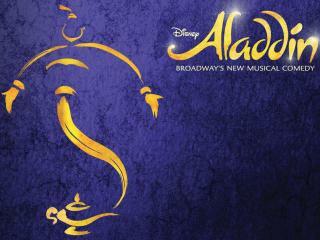 Follow Aladdin on his adventures as one rub of a magic lamp unleashes the spectacular whirlwind hiding inside. A musical masterpiece that not only brings to life your favourite songs from the film like iconic tracks ‘A Whole New World’ and “Friend Like Me”, but introduces you to an entirely new score of hits created by an award winning team. Enjoy stunning musical numbers composed by Tony Award winner Alan Menken, with heartfelt lyrics by Howard Ashman, Chad Beguelin and Tim Rice who also wrote phenomenal hits for The Lion King. Unlike anything you’ve ever seen before, the captivating story, striking beauty, and inconceivable magic make this musical comedy theatre show simply unmissable. 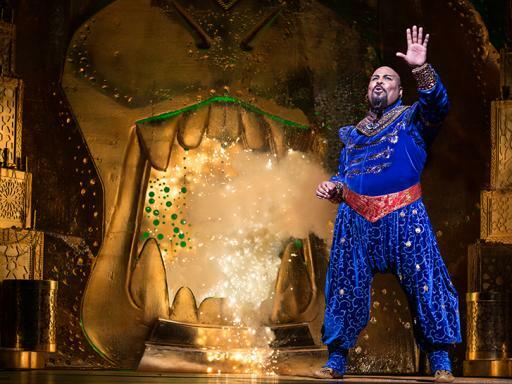 Be inspired by Broadway, in a show that’s all about wishes and making your dreams come true. Get ready to be immersed into a whole new world and add an unforgettable sprinkle of Disney magic to your visit to New York City. 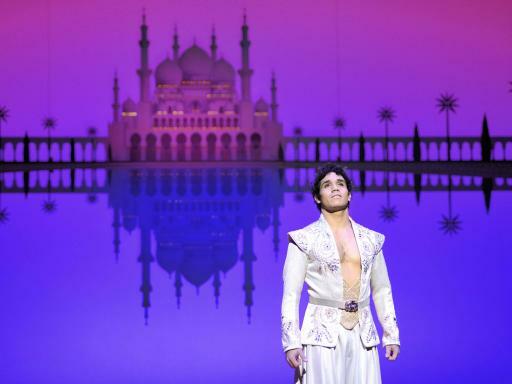 Aladdin finally gets its chance to shine on stage in an elaborate Broadway show based on Disney’s Golden Globe and Academy Award-winning animated classic. The story takes you on an adventure alongside Aladdin, a street-rat who meets the beautiful Princess Jasmine and instantly falls in love. From totally different worlds, their romance is forbidden, but when Aladdin stumbles upon a magic lamp his luck could be about to change. All it takes is one eager rub of the lamp and the power is released. 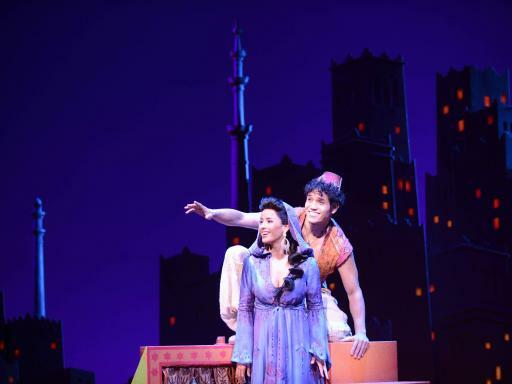 With the loveable Genie on his side and armed with 3 wishes, Aladdin is one step closer on his mission to win over the enchanting princess. Will there be a happy ever after? Depending which option is booked, seats are guaranteed in either the Orchestra/Front Mezzanine or the Balcony section of the theatre. Seats are allocated by the box office at the time of booking on a best available seat basis. Book early for the best seats! Duration: 2.5 hours with one interval. Such fun for adults and children. 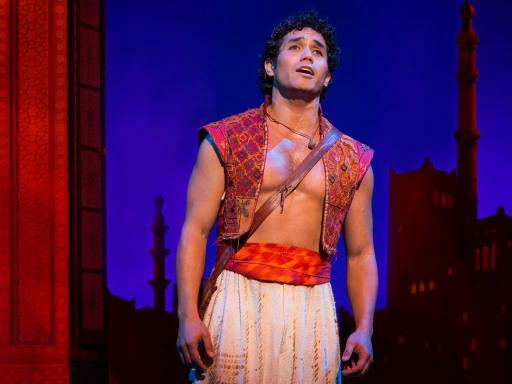 *You can cancel or amend your Aladdin Broadway Tickets free of charge until 8 days before the show date. After that time, no cancellations, changes or refunds can be made. Amendments are subject to availability.All our Aladdin Broadway Theatre Tickets are guaranteed in the Orchestra/Front Mezzanine or Balcony section of the theatre. Seats are allocated by the box office at the time of booking on a best available seat basis. All New York Broadway Theatre bookings will be seated together. 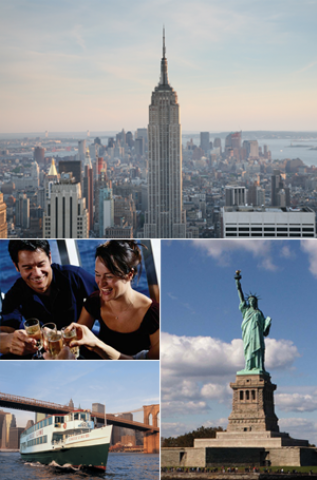 You will receive a ticket voucher confirming your reservation, the performance time, the theatre location, plus all other important details relating to your New York theatre tickets. Your tickets will be available at the theatre box office from one hour prior to the start of the performance. Please note seat numbers are not provided at time of booking. All seats will be allocated together and advised upon ticket collection on the day of the production. No, your tickets will be confirmed with the box office and you will receive a voucher confirming your reservation, the performance time ,the theatre location, plus all other important details relating to your New York theatre tickets. The show tickets will be available at the theatre box office from one hour prior to the start of the performance. This ensures that the tickets do not go missing in the post and you do not have the worry of misplacing the tickets on receipt. 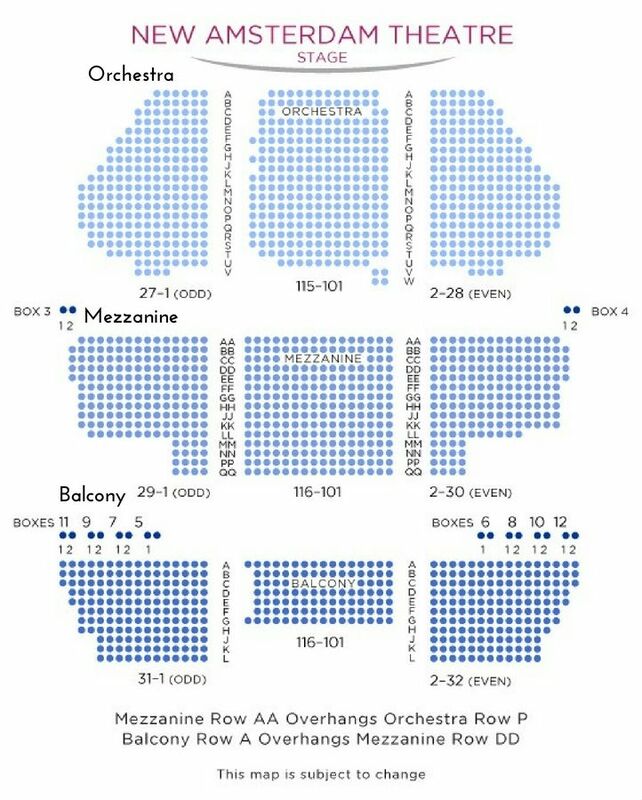 What is the difference between the Orchestra, Mezzanine and Balcony? Orchestra seats are located directly in front of the stage on ground level. Mezzanine seats are located on the next level, above the Orchestra section. The Balcony section is the highest level and furthest from the stage.